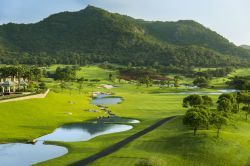 The Milford Golf Club & Resort (formerly the Eagle Milford and Hua Hin Seoul Country Club) offers a change from the area championship courses. Fairways here often are no more than packed earth and bunkers have little to no sand. On the other hand, this par 72, 18 hole course designed by Robert McFarland lies in a spectacular location nestled in the valleys of a chain of mountains directly adjoining the coastline. 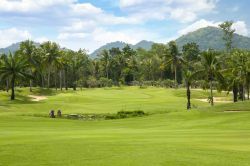 Majestic Creek Country Club is a challenging course that was once rated by a German golf magazine as a Hua Hin’s best golf course. Many Hua Hin locals and expatriates share this view. 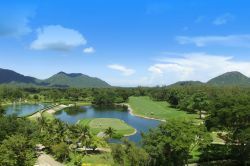 Designed by Dr.
Palm Hills Golf Club located close to Hua Hin center the Hua Hin airport, is in the lower foothills. 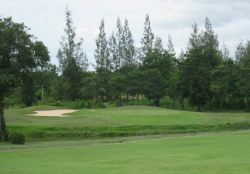 It was the first international standard Hua Hin golf course and opened in 1992. 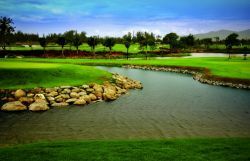 The following year Palm Hills hosted to the inaugural Thailand World Pro-Am tournament. 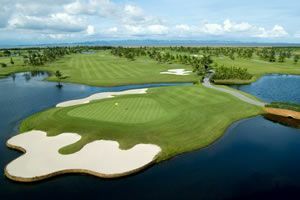 Royal Hua Hin is the oldest 18-hole international standard course in Thailand and is only 5 minutes from downtown Hua Hin. The golf course was commissioned in 1924 to accommodate the interests of the British railway workers and Thai aristocracy living in the area. Royal Hua Hin sits right next to the town&apos;s railway station. 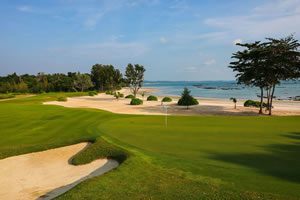 Sea Pines Golf Course (also known as the Army Golf Club II) plays along the Gulf of Thailand in the Suan Son Pradiphat (Sea Pine Tree Garden). 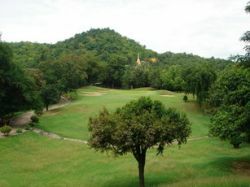 The Royal Forestry Department originally owned the Hua Hin golf course track before being taken over by the Royal Thai Army under the rule of Field Marshall Sarit Thanarat, who served as prime minister of Thailand during 1957-1963. The majority of the Sea Pines area houses bracken pine trees enriched by the beauty of oceans and mountains. 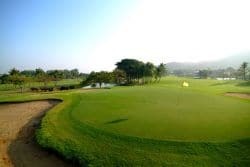 The traditional Jack Nicklaus designed Springfield Royal Country Club located off the Hua Hin bypass road is one of the best Hua Hin golf courses, and as good as they come. 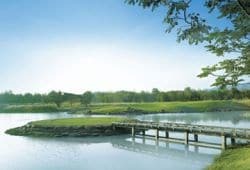 The course at Springfield has been designed to meet the high demands of a recognized championship golf course, and yet it remains an enjoyable challenge for golfers of all standards. Each hole has a minimum of five tees to play from, but only the brave, and those regularly rub shoulders with the world&apos;s best will venture from the black tee. 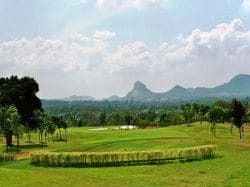 Kaeng Krachan Country Club & Golf Resort’s remote course location in neighboring Petchaburi Province makes it 1 hour inland from Hua Hin. 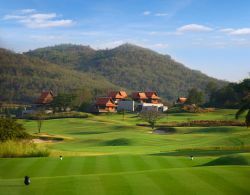 The course itself is on the periphery of Kaeng Krachan National Park which is Thailand’s most extensive and stretches along the western border of Myanmar. High Mountain ranges dominate the area along with dense tropical forest.